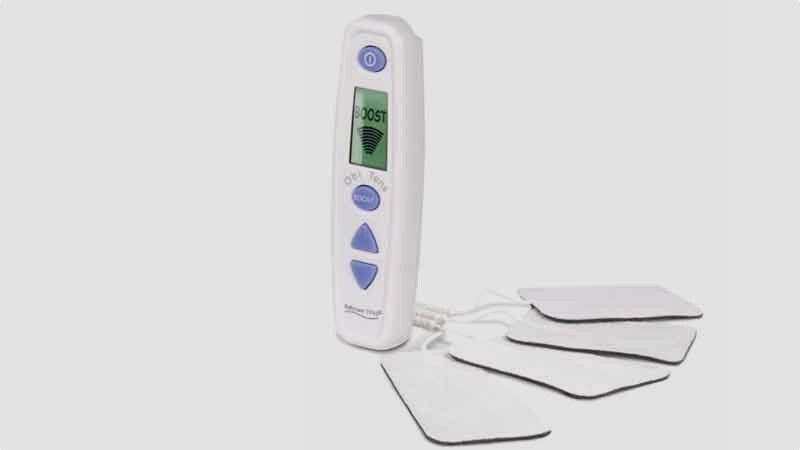 TENS stands for 'transcutaneous electrical nerve stimulation' and the best TENS machines claim to relieve lower back pain in the early stages of labour. Although some swear at the TENS machine, many women swear by the TENS machine. Once turned on, the TENS machine sends electrical pulses to your body via sticky electrode pads you attach to your skin, which aim to help reduce contraction pain. The TENS machine also claims to help stimulate the production of much-needed labour endorphins. For those keen to try one out, there are designs to buy or rent online, all of which are easily transportable and come with clever features such as adjustable intensity settings and contraction timers. Its worth noting that the TEN machine can be used to help reduce everyday pains and muscle spasms too, so although renting a design is a popular choice for some, the device could come in useful way beyond childbirth. What makes the Babycare Obi Tens worth a try is the fact that the design is simple and easy to follow. 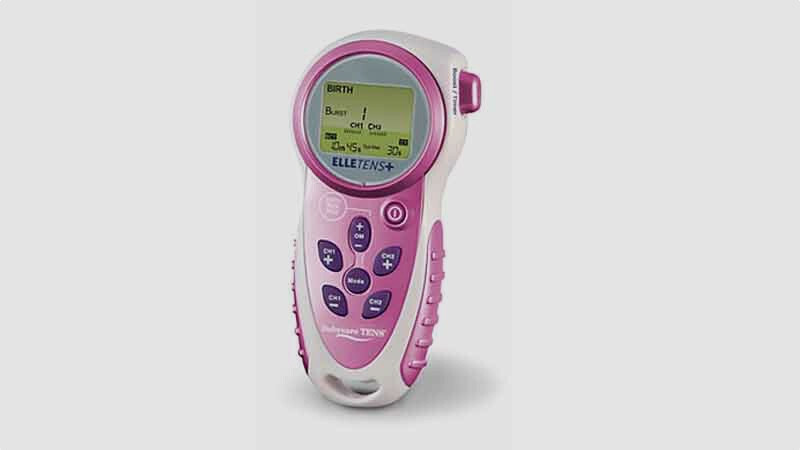 The slimmest model in our test, the Babycare Obi Tens has a straightforward interface - it features up and down arrows to adjust the intensity, an LCD screen that’s easy to read and an ample ‘boost’ button. It’s lightweight and comes with four decent-sized electrode pads, although you can buy separate ones should you need more. You can also buy extra hypoallergenic electrode pads if you have sensitive skin. Postpartum, the Babycare Obi Tens can be used to treat minor aches including shoulder, back and period pain. There’s also a neck cord and carrying pouch included. Compact in design, the Elle Tens2 comes with four maternity electrode pads as standard. Like the Obi Tens, you can buy extra pads incase you need them for post-labour ‘practise’. You can also buy hypoallergenic electrodes, from £8. 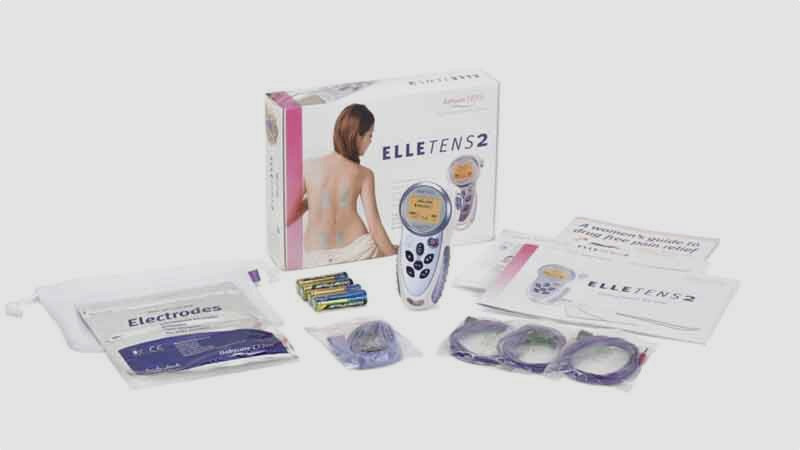 The Elle Tens2 has an easy to follow interface with pre-set features for relieving pain. It also has a contraction timer, which records your last five and in-between contractions so you can monitor your progress. Its ‘Optimax technology’, which is the extra pulse of pain-combatting power for use in the final stages of labour – will come in useful too, as will the backlit screen should you want to keep the lights down low when you’re in labour. The most advanced design in the Elle Tens family, the Elle Tens Plus offers three main features – to treat labour pain, general pain and to help tone pelvic floor muscles after birth. Simply pick your desired mode from Birth Mode, Pain Mode and Pelvic Mode, and use the digital interface to tailor the settings to your needs. The Elle Tens Plus comes with a pack of four electrode pads and a neck cord, which makes it easy to carry during labour and also has a contraction timer. This model stands out from its competitors as in Birth mode you can choose from two ‘boost’ buttons as well as two ‘burst’ programmes to give you a range of pain-relief options. After birth, you can use the device on Pain Mode to target aching muscles around your body and the relaxing Massage option is particularly enticing. The device also comes with an internal probe for use with the Pelvic Mode to tighten pelvic floor muscles should you wish. While The MamaTens doesn’t come with dedicated apparatus for toning pelvic floor muscles after birth like the Elle Tens Plus, it does offer a good range of pain-relief settings for use during labour. Reasonably priced at sub-£50, its digital interface is simple to read and easy to navigate and its compact green and white body is easy to carry. It has three preset programmes for use in each stage of labour, plus one boost button to provide additional pain relief during contractions. The battery-operated device comes with a neck cord and a belt clip so you can attach it to your clothes during labour and stay active.